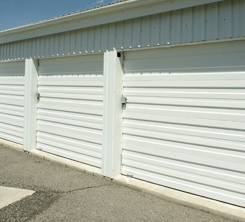 Do you have a company that relies on having operational commercial garage doors? 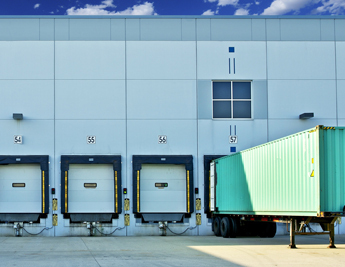 Whether you run an auto repair shop or a large manufacturing company that needs to ship items across the country, your commercial garage doors need to be functioning properly. Steel City Garage Doors has nearly 25 years of experience in all types of commercial garage repair, maintenance, and installation. We work to resolve any issues with the functionality of your garage doors, and if a replacement is necessary, our team will help you find a new garage door. If you have an emergency and need immediate service, we will respond quickly to fix your commercial garage doors in Pittsburgh, PA.
Our licensed and insured technicians are able to complete every type of maintenance and replacement for commercial garage doors. We are dedicated to helping you find the garage door and quickly. Because we are a locally owned and family operated company, we understand that you cannot afford to halt business activities for even a short amount of time. We are able to schedule same-day appointments or emergency service if required. Contact us today to schedule a commercial garage door replacement with our team of professionals! We are pleased to serve clients in Pittsburgh, Canonsburg, and Green Tree, PA.